Whatever Happened to the LTFRBâ€™s Plan to Push Taxis to Modernize as Condition for Fare Hikes? Whatever Happened to the LTFRB’s Plan to Push Taxis to Modernize as Condition for Fare Hikes? 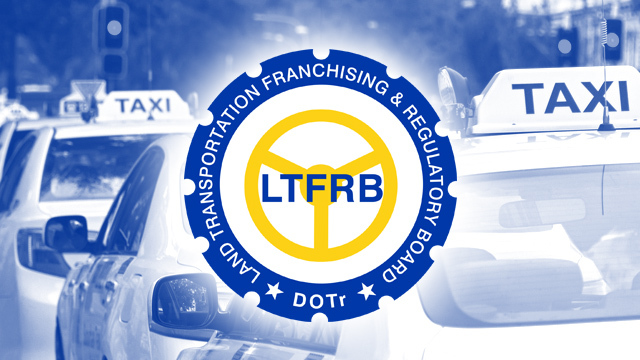 When the Land Transportation Franchising and Regulatory Board (LTFRB) approved petitions filed by various local taxi operators for a fare hike in October 2017, the agency also turned the occasion as an opportunity to push cab operators to modernize and upgrade their service. Taxi operators have been applying to increase their fares from 2014 to 2016. Since Grab and Uber entered the country in 2014, taxis, especially in Metro Manila, have been losing sizeable market share to the two foreign ride sharing services. Despite surge-pricing which tended to make a ride with Grab or Uber more expensive, commuters chose them over taxi drivers who suffer from a bad reputation of being picky and dishonest. In November 2017, the land transportation regulatory body issued Memorandum Circular No. 2017-026, which essentially granted the taxi companies’ application but set tough conditions for the actual implementation of the approved fare hike. While keeping the base fare at Php40, the circular allowed taxis to increase the distance component of their fares by almost 16 percent from Php3.50 per 300 meters to Php4.05. It also gave them permission to raise the time component of the fare by 14.3 percent from Php3.50 every two minutes to Php4. If implemented, the new taxi fare scheme is fairly similar to those of Grab and Uber, giving cabs a fighting chance to earn as much as the other two. Because their fares haven’t been adjusted for years, taxis earn much less than Grab and Uber vehicles. This explains why taxi operators can’t retain drivers, leaving as much as half of the fleet of many large companies unused, according to industry sources. Those who have remained are forced to negotiate with customers for higher fares beyond what’s indicated in the meter. But the LTFRB set strict conditions for the implementation of the approved fare increases. Before the operators can recalibrate their taxi meters to reflect the new fares, they must comply with a number of conditions aimed at upgrading the quality of taxi service. The LTFRB required that taxi units must first be equipped with the following: a GNSS (Global Navigation Satellite System) receiver, a CCTV with a recording capacity of 72 hours and a dashboard camera. In addition, they must also comply with conditions set by the Department of Transportation (DOTr)’s Department Order No. 2017-011, which spells out guidelines for the government’s PUV (Public Utility Vehicle) Modernization Program. These include providing free Wi-Fi to passengers and belonging to a mobile cab-hailing platform. Based on the same memorandum, the schedule for the recalibration, which will be done in phases to accommodate the thousands of taxi units, should have started in December 2017 and finished by April 2018. Yet, four months since it was unveiled, the LTFRB’s grand plan has yet to see fruition especially in Metro Manila. (A few cities outside Manila such as Davao have reportedly began implementing the program). Entrepreneur Philippines called up some of the biggest taxi companies in the metropolis, and all of them said the taxi meter calibration has not yet begun. All are still waiting for word from the LTFRB. In part, what could be delaying the rollout of the plan are objections from many taxi operators who balk at the big expense of installing the new equipment and systems required by the LTFRB. Many complain that providing free Wi-Fi may prove too costly while installing CCTVs may constitute an invasion of passengers’ privacy. But industry sources also say that some of the technical specifications set by the DOTr and LTFRB, such as the 72-hour recording capacity of cameras to be installed in the taxis, are not yet available in the market or are still too expensive. Officials at the LTFRB’s central office said the agency remains committed to implementing the terms of Memorandum Circular No. 2017-026 in Metro Manila. They explained that what’s holding up the recalibration of taxi meters is the need to look for a large lot area that could hold hundreds of taxi cabs so they don’t spill out into the roads and add to the traffic congestion. “We are still looking for a place to conduct the calibration. We have other options but still under discussion,” LTFRB Technical Division Chief Joel Bolano said in a text message. It remains to be seen how quickly the LTFRB can implement its taxi meter recalibration schedule considering many cab operators have objections to the conditions imposed by the agency. Still, even after the taxis have undergone recalibration, signed up for a cab-hailing platform and installed the other required equipment, there is no automatic guarantee that they’ll be able to attract the customers they’ve lost to the ride-sharing companies. For that to happen, taxis need more than just GPS, cameras, hailing apps or even free Wi-Fi; no less than a change in mindsets of taxi operators and drivers is in order. Did You Know 8 of Top 10 Unit Investment Trust Funds Last Year are Index Funds?